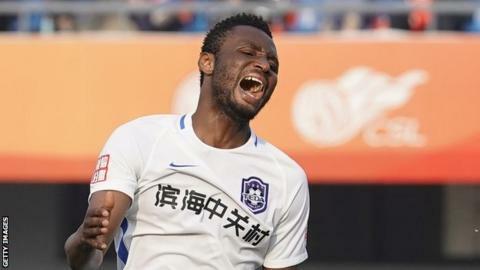 Nigeria's John Mikel Obi is looking for a new club after leaving Chinese Super League side Tianjin Teda by mutual consent with a year left on his deal. "As for my next stop, I am not sure yet, maybe I will return to Europe, maybe stay in China," he was quoted as saying by local Chinese media. The midfielder has not played for his country since last summer's World Cup, leading to speculation about his international future. "With Mikel you cannot say when and if he will be returning to the team now," said Nigeria coach Gernot Rohr.